Join us for our 2nd Sundays Series as we party with our friends at the always rockin’ ABGB (1305 W Oltorf) from 12 p.m. until 6 p.m. – on Sunday April 14th. It’s always a party when the Austin Flea and the ABGB unite powers! Plus, Sunday’s Best music from 4-8! Featured Artists: Eya Floyd, Luna Tigre Candles, Remedy Designs, Fabulous Paws, Whiskey Boat Goods, 1937 Apothecary, Bee Delightful, AGBB Ceramics, Sam Wish, BabyCakes Studios, Horsemen Reclaimed Customs, Fed, Ott Coffee, gojema, Dirty Dog Soaps, Be Beadiful Jewelry, Hold Onto Your Plants Design, Carly Weaver, One 5 Trading Co, Abby Lou Pottery, Nomadic Artgirl, Mckinley Mizar, & Illuminidol! Moms are the best. 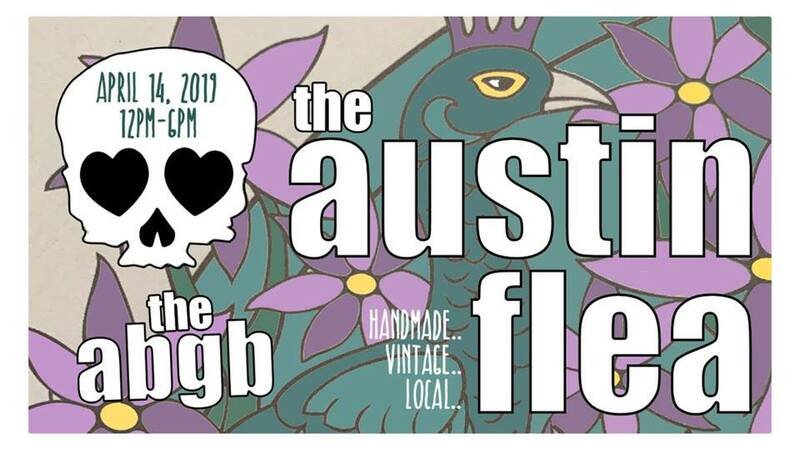 Join us for our 2nd Sundays Series as we party with our friends at the always rockin’ ABGB (1305 W Oltorf) from 12 p.m. until 6 p.m. – on Sunday May 12th for a special Mother’s Day Flea.